Everton have joined Liverpool in the hunt to sign Zorya Luhansk goalkeeper Andriy Lunin, according to the Mirror. 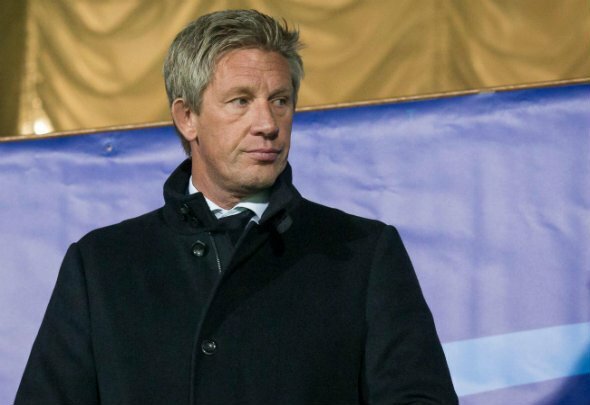 The newspaper claimed in their live transfer blog on Friday [06:46pm] that Goodison Park’s new director of football Marcel Brands is interested in the 19-year-old Ukraine international, who has been earning rave reviews after a stunning season with Zorya. It is understood that the 6ft 3in colossus is also wanted by Liverpool after keeping 10 clean sheets in 36 appearances across all competitions for Zorya this term. Lunin looks like a very good prospect and the Toffees should definitely look into making a move for him as soon as possible. The one-time Ukraine international is bound to attract more interest in the summer transfer window as he is widely seen as one of the best young goalkeepers in Europe. Not many will have heard of him, so it must be Brands’ priority to sign him without other clubs looking to hijack any move. Liverpool’s interest could be an issue though considering how Jurgen Klopp is bound to want a new goalkeeper or two this summer. Lunin is bound to be at the centre of a bidding war after a stunning season with Zorya saw him establish himself as one of the best teenage goalkeepers in Europe. Everton will have a lot of pulling power but will not be able to promise first team football with Jordan Pickford already on their books. Lunin may only be interested in moving somewhere where he can be a number one, so it could be quite hard for Everton to pull this off.